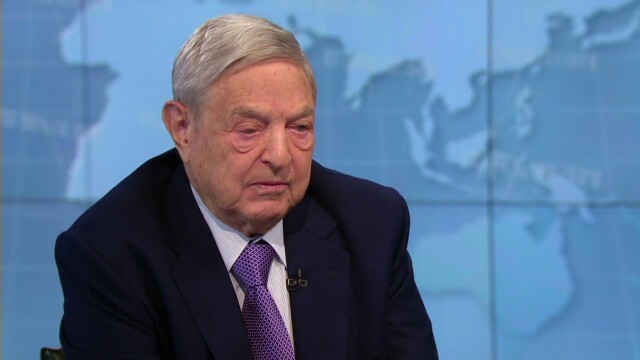 CNN’s FAREED ZAKARIA GPS features an interview with George Soros, chairman of Soros Fund Management and author of The Tragedy of the European Union (2014). Soros spoke with Fareed about Putin’s actions and intentions in Ukraine, anti-Semitism, and the sense of nationalism on the rise in Ukraine and in Europe. A video and transcript of the interview are available after the jump. On GPS: Will Ukraine detach from Russia? FAREED ZAKARIA, HOST: George Soros has made one of the world’s great fortunes betting on global trends. And he is deeply troubled by events and political trends in Ukraine specifically…but Europe more broadly. He’s just back from the region. And he joins me to talk about what he saw, what he thinks, and where he’s putting his money. FAREED ZAKARIA, HOST: George Soros, pleasure to have you on. GEORGE SOROS, SOROS FUND MANAGEMENT: Same here. ZAKARIA: First on Ukraine. One of the things that many people recognized about you was that you, during the revolutions of 1989, funded a lot of dissident activities, civil society groups in Eastern Europe and Poland, the Czech Republic. Are you doing similar things in Ukraine? SOROS: Well, I set up a foundation in Ukraine before Ukraine became independent of Russia. And the foundation has been functioning ever since. And it played a — an important part in events now. ZAKARIA: Do you think Ukraine will be able to assert a kind of independence from Russia, an alignment with the West, not — but not a specific alignment, as in NATO, but a kind of orientation toward the West or will the Russians always stop them? SOROS: No. Putin will try to destabilize Ukraine. But the Ukrainians, the large majority of Ukrainians, are determined to be independent of — of Russia. It won’t be easy, because Putin has staked his regime on destabilizing Ukraine, because it’s a threat to Ru — to his regime in Russia. If you have freedom, a free media and so on, and a flourishing economy, that would make his regime unsustainable. ZAKARIA: He accuses the Ukrainians of being anti-Semitic, of they’re being full of anti-Semitic fascists. You operate in Ukraine. You’re of Jewish origin. Have you detected virulent anti-Semitism in Ukraine? SOROS: Well, anti-Semitism is part of the DNA of that part of the world. So there is anti-Semitism. But there is much more in the – in the east, in the Russian dominated part. That is the — this so-called independent republic where there have been actual — actually atrocities against — against Jews and — and Gypsies. ZAKARIA: You have been very pessimistic or — or gloomy about Europe. Um, do you think that in this Ukraine situation, you’re seeing another aspect of the tragedy of Europe, the lack of collective action? It’s going to be — you’re going to see it in the elections because you’re going to see the rise of nationalist, anti-European forces? SOROS: Well, it’s more than that. It’s — as an ideology, a new sort of myth of Russian superiority. If you — those who watch Putin’s speeches, he actually has revealed this new myth of Russian genetic superiority. You might have heard that previously from someone else. It’s a — a new ideology based on ethnic Russian superiority. ZAKARIA: — whether on the left or the right. Do you think this nationalism could break up the European Union? SOROS: — is a direct consequence. And Putin just being in China. And they have a common interest. They’re establishing one, of — which is an actually anti— anti-US. George Soros, thank you very much for coming on.